...Each performance is different. That is what makes live performance so magical — being there, in the moment, with the artist. This weekend we have a play that not only stars all local talent, but was also written by a local, Laura Johnson. “Money to Burn” was written as a spoof of the Agatha Christie murder mysteries by local thespian Laura Johnson. Watch the fun as the relatives of recently deceased Uncle Dudley gather at his mansion to find the money they are sure is hidden there, and see what ghostly tricks Dudley has up his sleeve — especially for his ex-wife Veronica. This play premiered at A Center for the Arts in 1999. 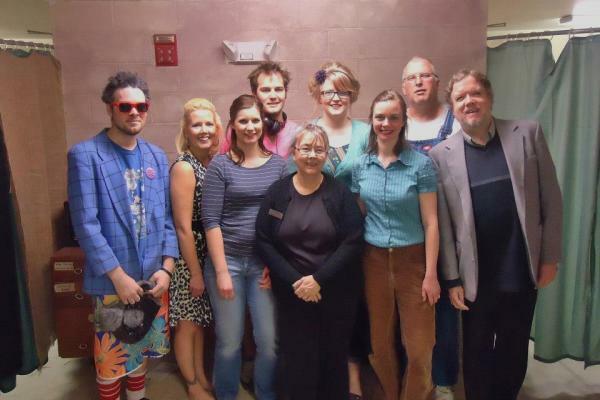 Laura Johnson, Randy King and Jane Geisinger all performed in the original play and are again in this new presentation. Joining them as cast members are Chad Canfield, Michelle Canfield, Becca Svingen, Jess Cooper, Rick Schara and Joe Johnson. This production is co-presented by a group of well-seasoned local talent who call themselves the Theater Geeks and A Center for the Arts. Are the spirits hearing us?